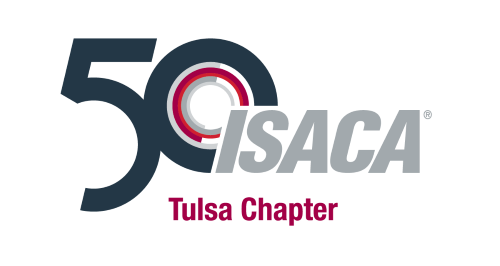 For our final meeting of 2018, the ISACA Tulsa Chapter is joining forces with ISSA to discuss the top ten cybersecurity threats for the region. Our presenter will be Ronald Hulshizer, CMA, CGEIT, CISA, who is Managing Director of BKD's IT Risk Services division out of Oklahoma City. Ron has more than 25 years of experience helping companies with information technology (IT), security and financial accounting issues. He primarily focuses on providing internal audit IT and IT security services. His team conducts cybersecurity reviews, general IT control reviews, internal and external penetration testing, business continuity plans and social engineering reviews for approximately 300 organizations and financial institutions. He also coordinates System and Organization Controls reports and SSAE 18reviews for banking and financial institution clients. Prior to joining BKD, Ron worked at technology firms, where he was responsible for financial and operational aspects, including IT operations and data centers. He is a member of ISACA® and InfraGard. He holds Certified Management Accountant® (CMA®), Certified in the Governance of Enterprise IT (CGEIT) and Certified Information Systems Auditor (CISA) designations. Ron has been interviewed and published in various publications, including WebCPA, NBC (OKC) and Illinois Banker. He has spoken about IT security and compliance to banking associations, ISACA, Oklahoma Society of CPAs, Institute of Management Accountants and Financial Managers Society, Inc. He is a graduate of James Madison University, Harrisonburg, Virginia, with a B.B.A. degree, and a 1991 graduate of Ashland University, Ohio, with an M.B.A. degree. Venue Change Note: Our combined meeting with ISSA will be at the University of Tulsa's H.A. Chapman Stadium. See below for the address.